The Final Fantasy IV Protagonists…. …is a bunch of really strange people if you look at em from this perspective as Donna “Karniz” Brown draw them in. 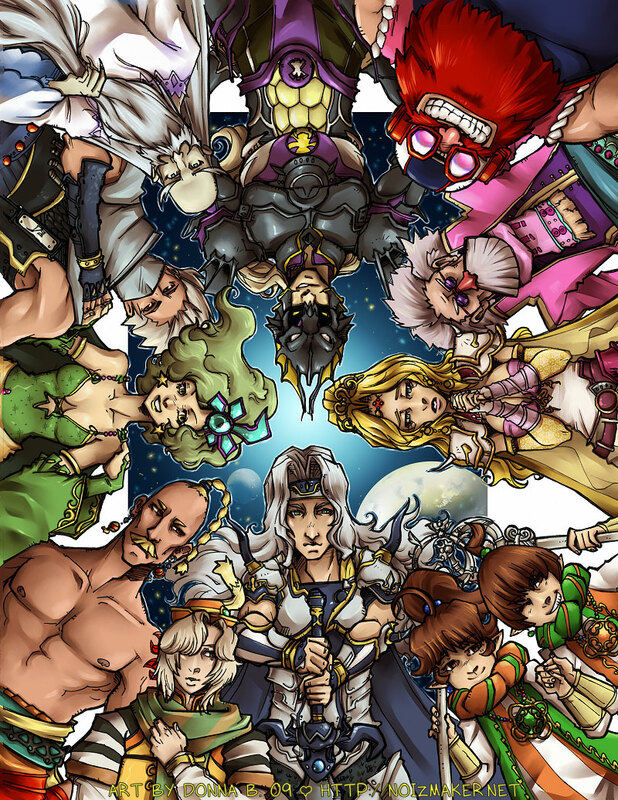 This group portrait of the FFIV cast was drawn by Donna in 2009 already, and made with a Pen + Painter IX combo.